Every Suzuki motorcycle is built with genuine parts. They have the optimal design and specifications tailored for your specific Suzuki model. Every part has passed Suzuki’s rigorous test standards for performance, quality, durability, safety and comfort. We recommend that you choose Suzuki genuine parts when you need to repair your motorcycle as each genuine part is the perfect match for your Suzuki motorcycle. Genuine Parts are given a 3 stage check to conform with the original drawing unlike Non Genuine parts which are literally patterns, copies without drawing specifically. No dimensions and tolerances. All Genuine Parts are also covered by a one year guarantee or part of the 2 year manufacturer’s warranty whichever is longer. All genuine Suzuki chain and sprocket kits are designed for the specific model they are intended for. This means you can be assured of the accuracy of machining, the solid construction and the high quality of the materials used. 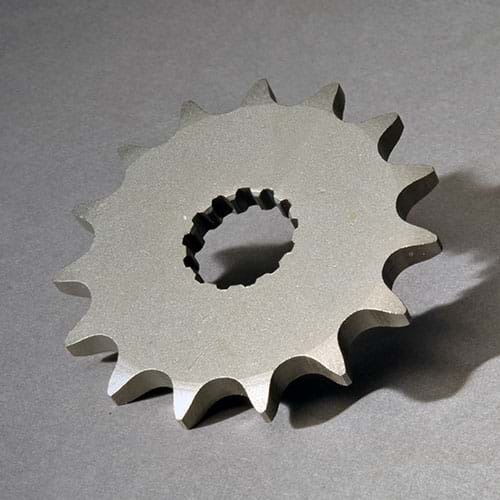 The example of a non-genuine Suzuki sprocket has an aluminum inner, meaning that it is not as strong as the solid construction used in genuine Suzuki sprockets and also more prone to corrosion. The strength is further weakened by the steel outer and rivets. Ideally it needs to be the same material as the inner for extra strength. 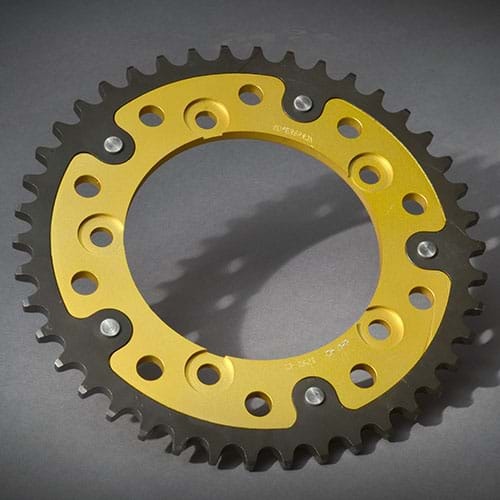 The time has been taken to ensure a high degree of accuracy on the machined splines on all genuine Suzuki engine sprockets, meaning they are perfectly matched to the gearbox output shaft on your bike. 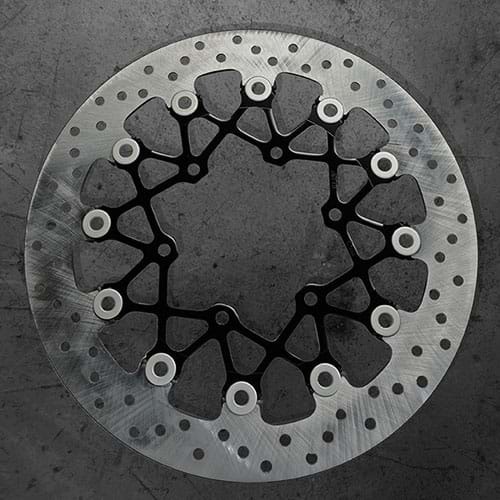 The damper is bonded to the sprocket, which reduces the drive noise and creates a smooth transition for the chain as it is pulled onto the sprocket. 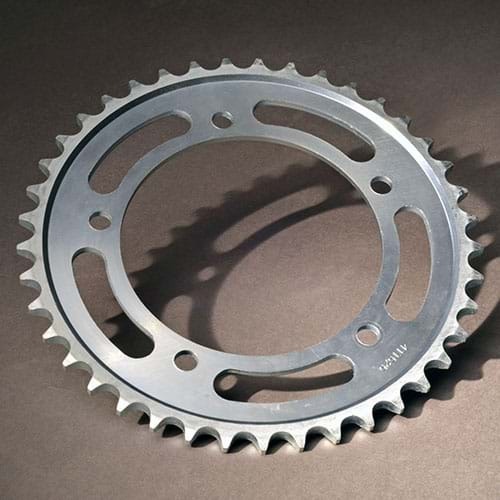 The use of high quality steel and accurate machining of teeth prolongs both chain and sprocket life. Non-genuine engine sprockets do not always have a damper and are therefore nosier and more prone to vibration than a genuine Suzuki sprocket. 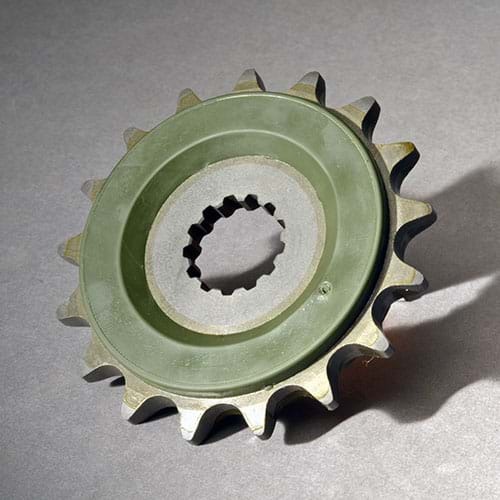 This can have a knock-on effect if splines are not machined accurately because the vibration can cause the sprocket nut to become loose. 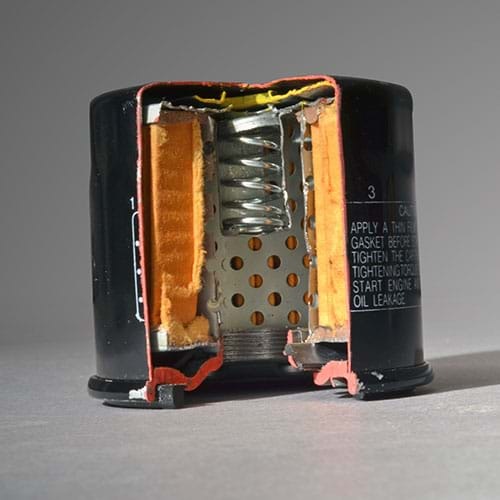 An oil filter is very much designed with the application in mind. Any engine will have an oil system that is designed to operate at a set pressure and will have internal flow rates carefully worked out. It is therefore essential that a filter exceeds these flow rates but still provides adequate filtration. Essentially two conflicting goals. 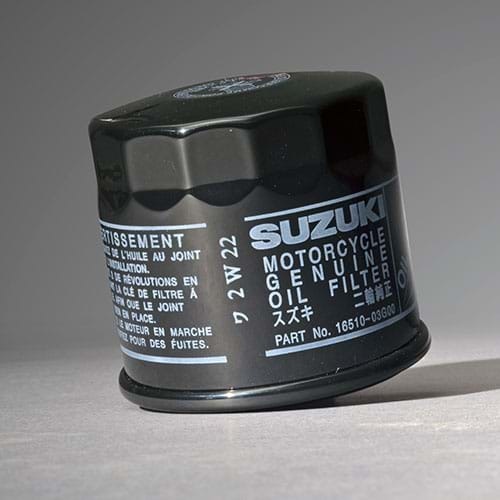 Suzuki oil filters are carefully designed to achieve both aspects. Genuine Suzuki brake pads have a finer grain structure and the material is developed with the material of the genuine Suzuki disc in mind. This is very important as the pad is designed to wear at a much greater rate than the disc. Suzuki pads come complete with shims. Both the friction material and the backing plates are designed to cope with the heat generated during braking. Any heat transfers will be carefully calculated so as not to transfer large amounts of heat to the caliper and fluid. 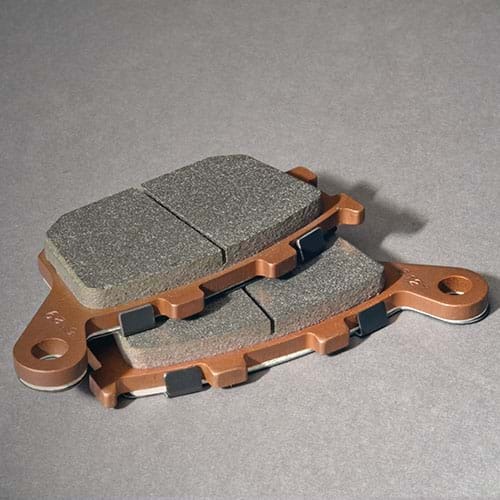 Non-genuine Suzuki brake pads have a courser grain structure – high friction co-efficient friction material – may lead to improved braking, however, every part of a Suzuki brake system is designed to give progression / feel and force to the braking experience. Often high friction pads lead to harsh braking. High friction material also leads to rapid wear on the disc surface requiring more frequent replacement. 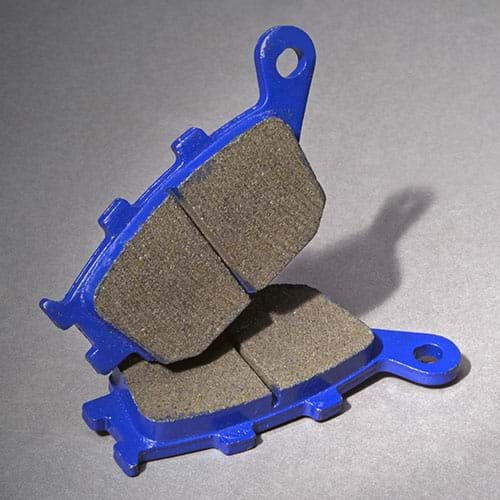 Lack of braking shims also often lead to increased noise and vibration. Weight is important and needs to be as low as possible so it helps reduce the unsprung weight. The lighter the weight, the quicker the suspension will react. Genuine parts are designed at the same time as the bike, so everything is in harmony. This is not always the case with non genuine parts. 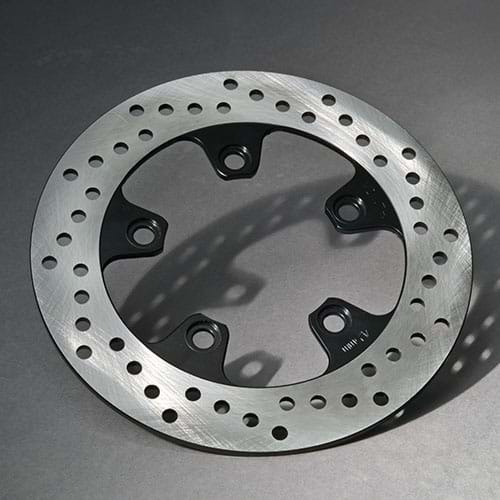 Genuine Suzuki brake discs also match the frictional properties of the disc with the pads for best braking and durability; again this is not always the case with cheaper non genuine options. When designed, the hole patterns, which are not just for show, have a purpose to disperse the water quickly and efficiently. If the holes are too large this can lead to increased wear. With non genuine discs you cannot always be sure that they will be compatible with OEM brake pads, that the correct material has been used or that they have been designed solely with your bike in mind. 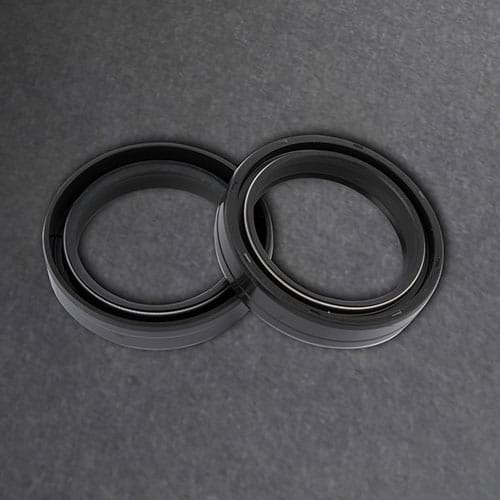 This oil seal is double lipped with a double spring ring each end so this wipes the fork stantion both up and down. Designed at the same time as the bike and tested to extremes to ensure the best possible performance. 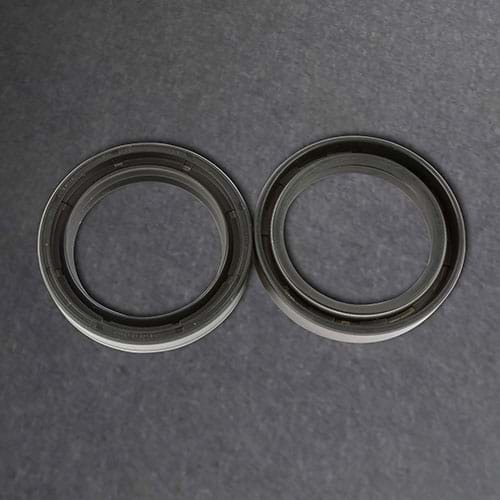 This will enable the seal to perform at is optimum throughout the part's life. Double sided but with only one spring so will only wipe the fork stantion once either up or down not both ways. This means it is more prone to weather and dirt ingress. This could lead to potential wear of the fork stations over time. The non genuine seal will also wear quicker than the original one. Whilst these parts can be cheaper, they won’t last as long as the original so you could end up with more expenses from changing the part more frequently. Always insist on Genuine Parts & Accessories Keep your Suzuki 100% Suzuki. By using Suzuki Genuine Parts and servicing you can be confident that all the parts have been designed specifically for your Suzuki. As Suzuki built your motorcycle or scooter, you can trust us to know all there is to know about maintaining your machine. Regular servicing will maintain your machines' overall performance and is instrumental in ensuring that it remains safe to ride. Whether you're replacing a part or personalising your Suzuki, choose from more than 200,000 genuine parts and accessories at our online shop.